L.A. Confidential (1997) - One of my all time favourite films, a brilliantly acted and directed adaptation of James Ellroy's (also excellent) novel. I've seen quite a few South Korean films over the last few years, and without wanting to make any crass generalisations, I've come to the conclusion that most South Korean directors are a) brilliant and b) more than a little unhinged. 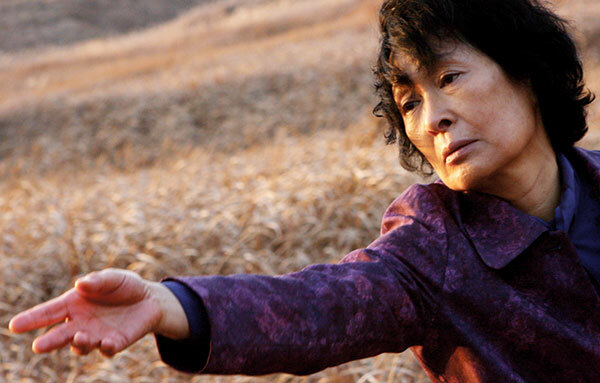 While not quite as graphically violent or crazy as Chan-wook Park's Vengeance trilogy, Mother is certainly a highly unusual film. It's a whodunnit, but told from the perspective of the mother of a mentally handicapped man who has been accused of the murder of a schoolgirl. Armed only with a set of acupuncture needles, Hye ja-Kim sets out to prove that her son was falsely accused. However, in carrying out her investigations, she must deal with a violent, incompetent police force, venal and sleazy lawyers and Stanley knife wielding schoolkids. It reminded me a little of the films of David Lynch, with an apparently normal South Korean town turning out to be a hotbed of corruption under the surface. I was also impressed with the twists and turns which the story took, meaning I had no idea as to how this one was going to end. It's certainly not your run of the mill detective story, but it's a film which I would definitely recommend. Tom 'the Cruiser' Cruise returns as Ethan Hunt for a fourth instalment in the spy thriller franchise. This time, his Impossible Missions Force (who get to have way more excitement on the job than people who work for the International Monetary Fund) are attempting to stop a Swedish academic who has apparently decided that the best way to bring about lasting world peace is to incite nuclear war between the US and Russia. Joining the Cruiser on his team are wisecracking tech geek Benji Dunn (Simon Pegg), reluctant agent with a troubled past William Brandt (Jeremy Renner) and possible love interest/ martial artist Jane Carter (Paula Patton). In their quest to stop nuclear armageddon, the IMF fly from Russia to the UAE and finally to India, crossing swords with the Russian secre service and a gorgeous French assassin (Lea Seydoux) en route. 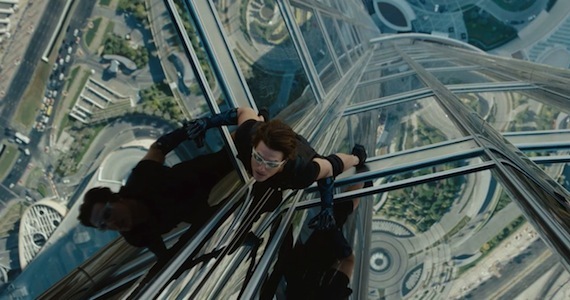 It's all pretty good fun, if you don't think too hard about the sometimes shaky dialogue and hackneyed character back stories, and some of the stunts (particularly the scene in which Cruise abseils down the Burj Khalifa) are fantastic. Unfortunately, it runs for about half an hour too long, with a final section set in Mumbai which is a bit of a letdown after the breathtaking scenes in Dubai. Comparing the film to other entries in the series, it's probably about on a par with MI3, and better than MI2, but lags some way behind the superior first movie (directed by Brian de Palma). 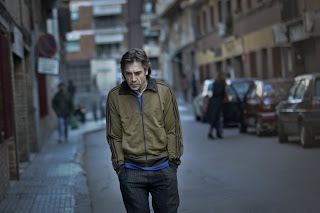 The most recent film from Mexican director Alejandro Gonzalex Inarritu (who also helmed the fantastic Amores Perros), Biutiful takes a look at the underground economy in Barcelona. Moving on from the interweaving stories for which Inarritu became famous, this is a more straightforward narrative, in which we follow put upon family man Uxbal (Javier Bardem). Uxbal has been dealt rather a rotten hand in life - as well as having to act as liaison between the police, the Chinese manufacturers of knock off goods and the African street vendors, he's a single father to two young children, has a shaky relationship with his ex-wife and has just discovered that he has contracted terminal prostate cancer. Oh, and he can also commune with the dead, so there's that too... In some ways, I think Innarritu has tried to cram too many elements into one film here. I didn't feel that the plot strands in which Uxbal communes with the dead add too much to the story, and it might have been better if this had simply been a story of a dying man trying to keep his family together. Having said that, Javier Bardem gives a strong performance in the central role, and the film takes you into corners of the Western world which you do not often see in the cinema. In an era where many films barely have one idea to rub together, I don't want to be too critical of this movie, which is full of ideas, if a little unfocused. In which a goth computer hacker teams up with a disgraced journalist to solve a murder from the '60s involving members of a prominent Swedish industrialist's family... I've never read Stieg Larsson's bestselling 'Millennium' novels, but I had previously seen the Swedish adaptation of this trilogy, so was interested to see what David Fincher could bring to the series. In truth, the answer is 'not all that much', though this film is rather more stylish and visually arresting than the original Swedish movie. I don't mean to be too critical of Fincher, as I thoroughly enjoyed his version of the story, but for me, the original film left little room for improvement and this time around I didn't have the excitememt of finding out 'whodunnit'. It's certainly a very good film, with particular praise due to Rooney Mara, who makes an excellent Lisbeth Salander, but on balance I'd rather Fincher moved on to a fresh project for his next movie. It seems a bit of a waste for a guy who can make films as brilliant as Seven, Zodiac and The Social Network to be remaking a series of films which are only a couple of years old.